Small portion of 11PM News Copy..
Beginning of the log sheet (script?) 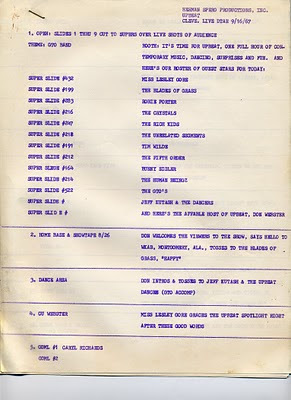 for Upbeat for September 16, 1967..They always seemed to have a full show.. 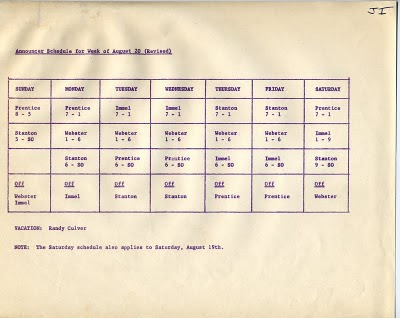 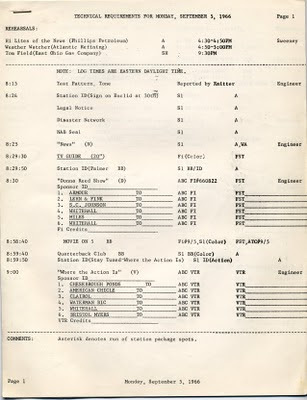 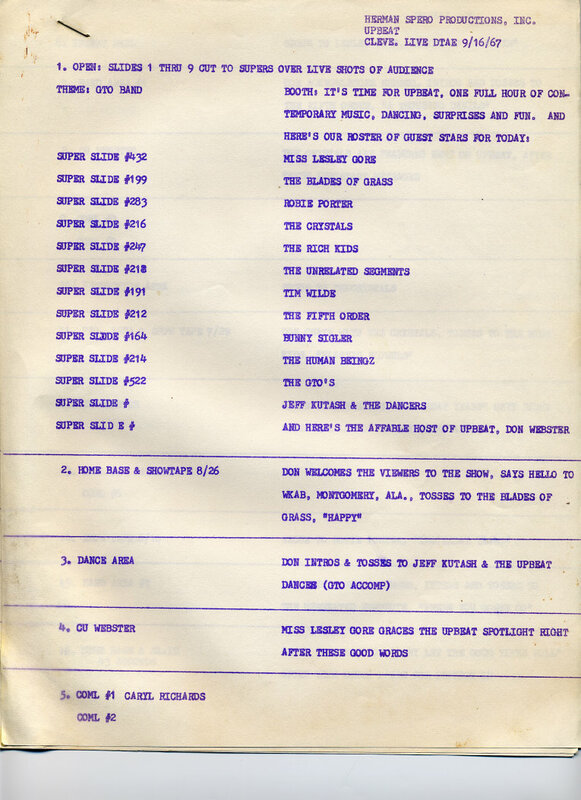 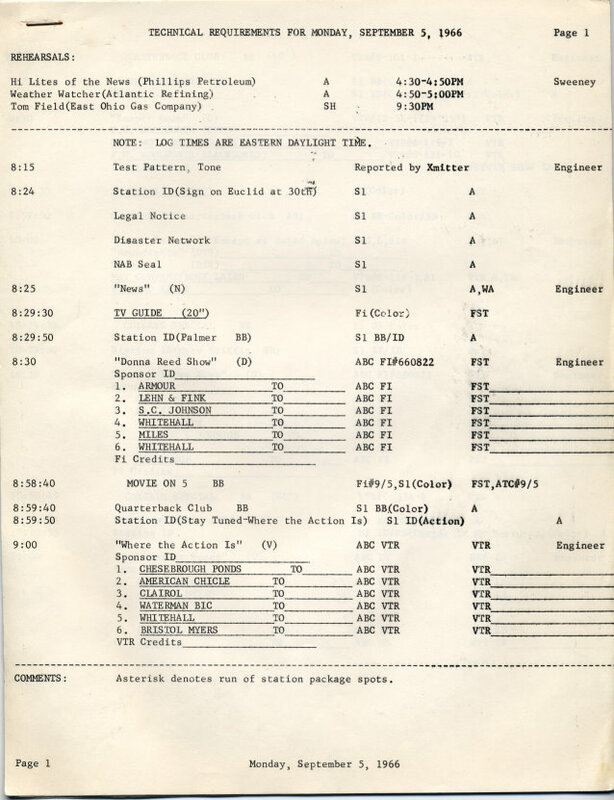 Program sign-on log for Monday September 5, 1966..Notice the very minute detail of what goes on.. 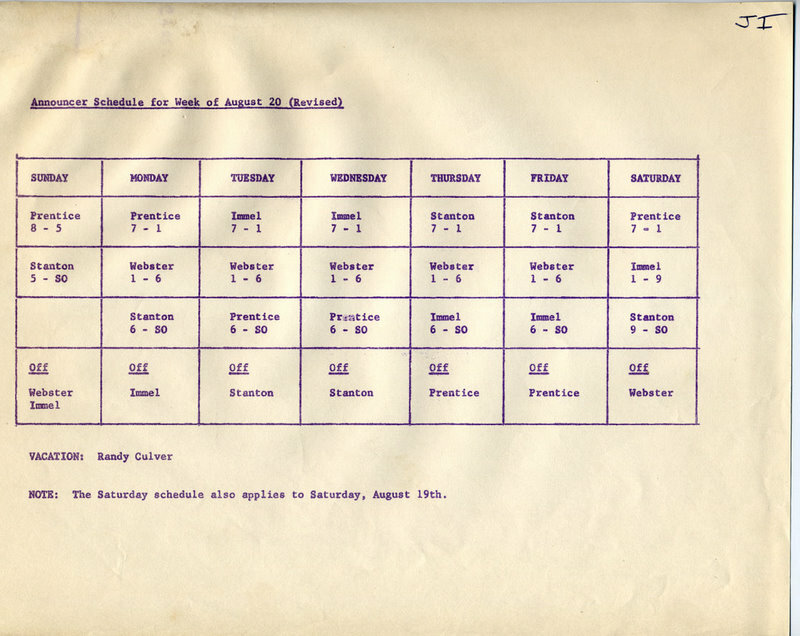 Above is the WEWS announcer shift schedule for August 19-26, 1967. 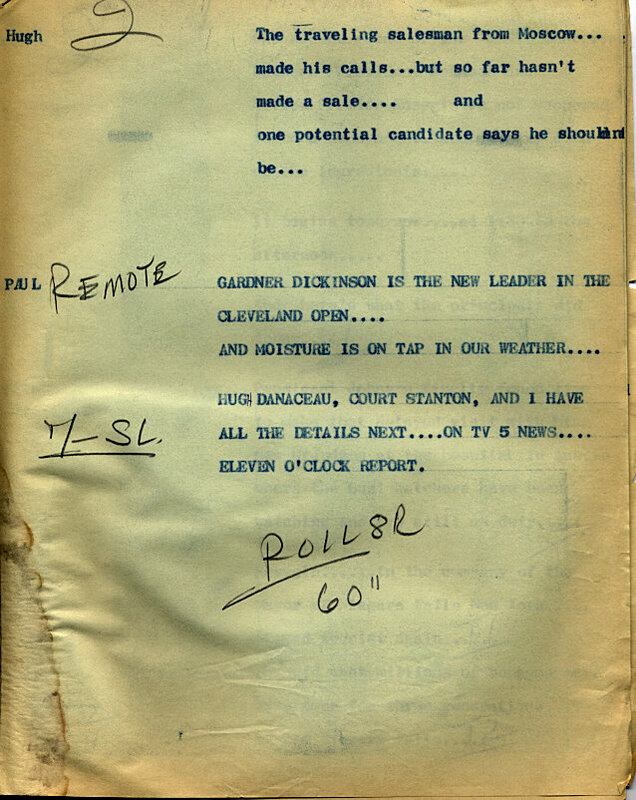 Aside from Jerry Immel, the announcers were Bill Prentice, Court Stanton and Don Webster..Webster, of course, was also doing duty on Upbeat, and possibly doing weather reports..Stanton and Prentice in the past had done sign-on/sign-off news bulletins as well..Randy Culver was on Vacation that week..